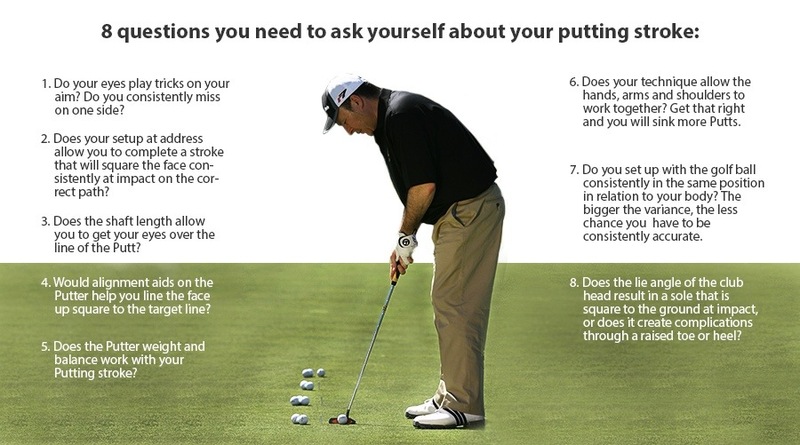 Now is a great time of the year to review your Putting stroke. I recommend taking a moment to do a self-audit. Do you have a sound technique? Do you have a repeatable stroke, or are you trying a different approach on a regular basis? Does your equipment work for you? Remember that improving your performance on the green is taking improvement directly to the bottom line of your scorecard. Too many amateurs ignore this part of the game. That makes it an opportunity for you to gain on them! Please give us a call if you’d like to have us check your Putting technique. You’d be amazed at how small changes improve your scores. When experts are writing in magazines, they often have to try and describe quite complex actions in a limited number of words and with only one diagram. That means simplification and often advice that can be misinterpreted. Here’s a dangerous example that can easily lead to injury, never mind make it almost impossible to find the right swing path. You will have read that to take up the correct position at address, you should “lean forward from the waist, with your spine kept straight, and then let your hands hang underneath the shoulders”. I know what the guru is trying to explain, but there is a challenge in the way most of us will follow this advice. If you do quite literally what you have been told to do, then gravity will surely cause your shoulders to come forward and force your shoulder blades to become rounded. Once you have managed to rotate back to a good position at the top, the power and accuracy generated in your shot will be determined by your ability to keep the club ‘on plane’ and the club head at a good speed. 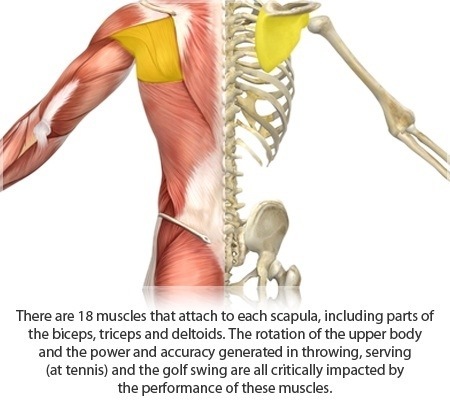 If you have started your swing with rounded shoulders, your scapulae will have ‘protracted’ and your muscles and spine will struggle to rotate in a way that keeps the club on plane with good speed. This entry was posted in fitness, golf, golf instruction, golf tips, sports and tagged draw, golf, golf fitness, golf injury, golf instruction, golf speed, golf tips, putting, slice. Bookmark the permalink.